If you want to take your iPhone or Android photos to the next level, Snapseed is one of the best options. When it comes time to share pictures with friends and family, you want them to look as good as possible, so a little post-processing is in order. 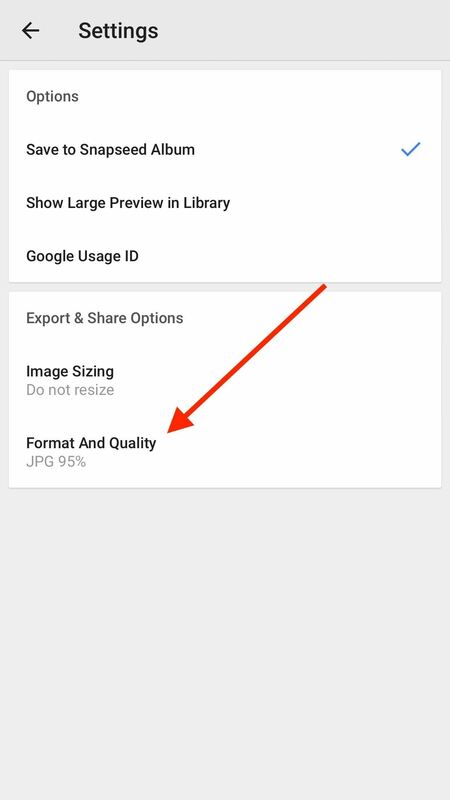 The problem is that Snapseed, by default, saves your edited photos at a lower quality than it first came in. What gives? In order to make sure your photos are saved in as high a quality as when you first took them, you'll have to change some settings. Sure, it will result in a photo that takes up more internal storage, however it won't be by much. 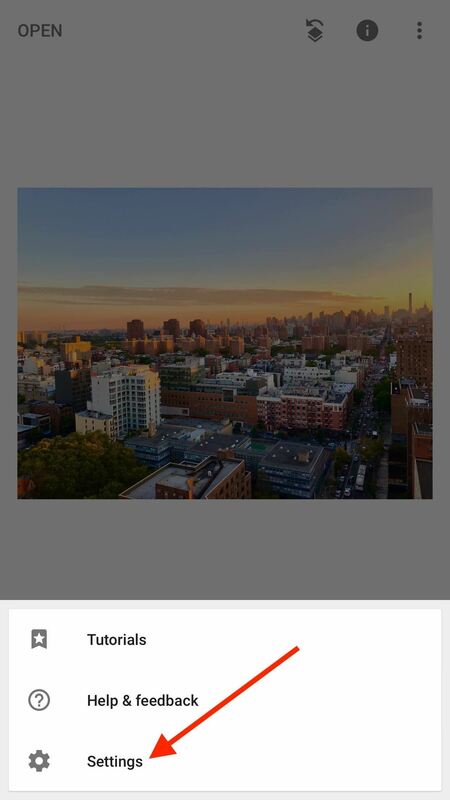 Snapseed only degrades your photos by 5%, so making sure your photos are a full quality really isn't a space-hogger. You don't need to finish editing your photo to change this setting. You can be anywhere in the editing process, just make sure you follow these instructions before exporting or sharing your photo. 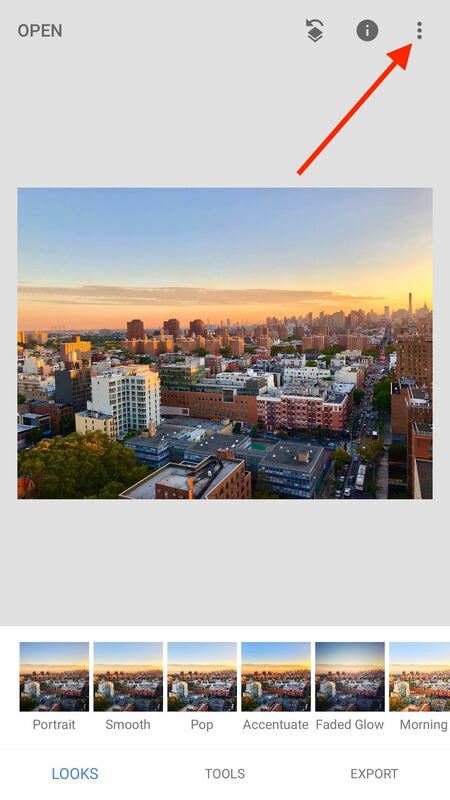 With your photo loaded in the viewer, tap the three dots in the top-right corner of the display. Tap "Settings" in the pop-up menu, then on the next page, tap "Format and Quality." On this page, you'll find a handful of options. Only two are important to us — JPG 100% and PNG. 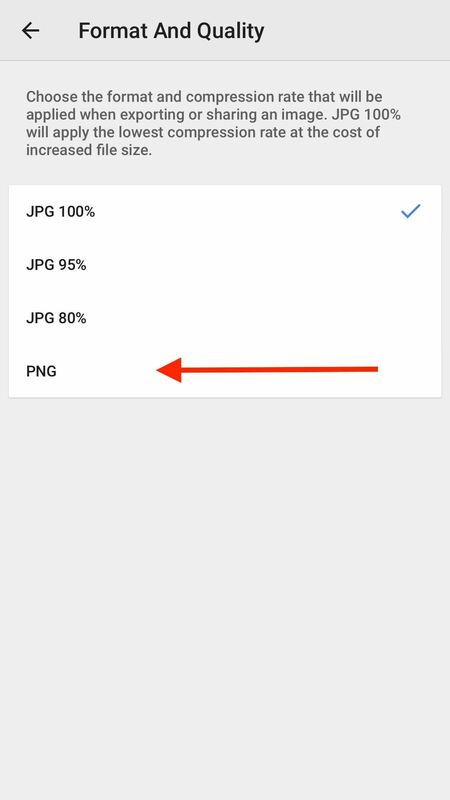 JPG 100% will save your photo as a JPEG, and while that still involves a level of compression, this option will result in the highest quality JPEG available. PNG, on the other hand, is a lossless compression, meaning your photo will be exported as the highest quality possible. Which option you choose is completely up to you. 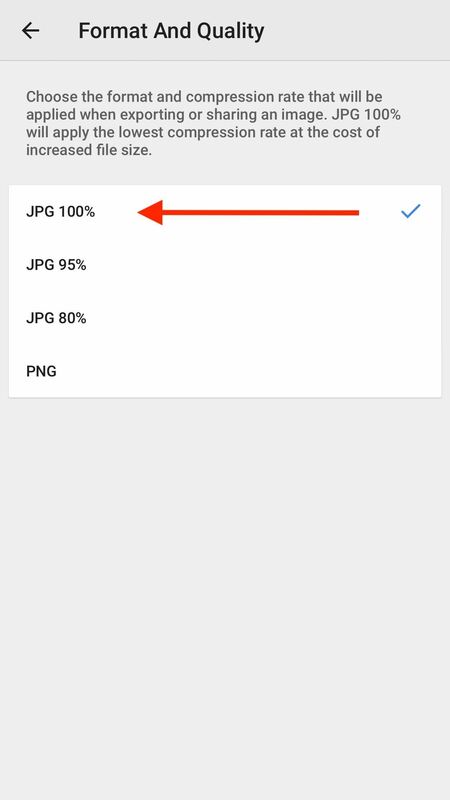 If you need to save on space, go with JPG 100%. 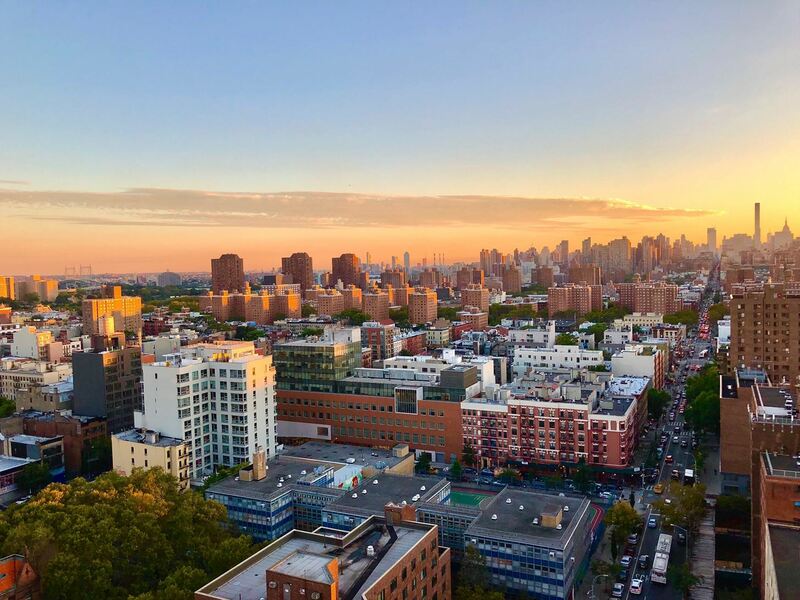 When sharing a photo from Snapseed in both formats, the JPEG was almost five MB smaller than the PNG, with no discernible difference in quality. However, if you need to save your photo with no compression applied, go with PNG to be safe. How did your photos look? Which option did you go for? Let us know in the comments below!